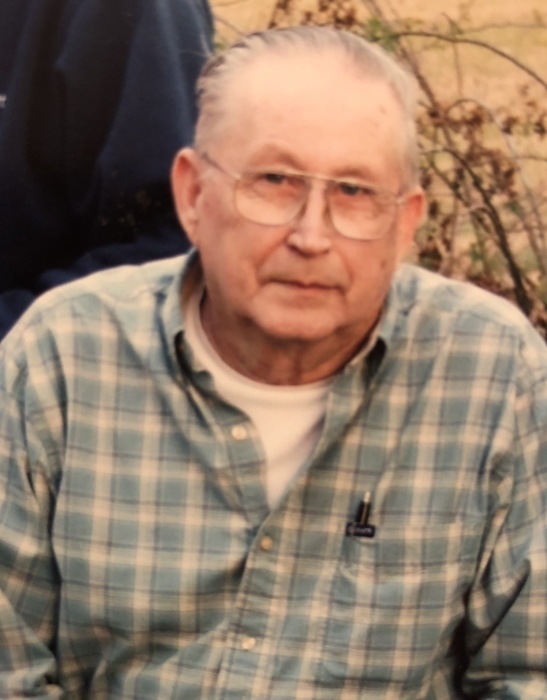 George S. Fensick, age 80, of Seaford, DE passed away on Thursday, July 5, 2018. George owned and operated G. S. Fensick Trucking. He was a veteran of the U. S. Army. George was born in Nanticoke PA, the son of the late Mary Fensick and George Smith. His wife of 43 years Patricia McGee Fensick died in 2001. He is survived by 2 sons, Gregory Reed (Donna), Ronald Fensick (Lisa), grandchildren, Tara Ritchie (Kevin), Heather Peterson (Eric), Gregory Reed Jr (Amy), Ronald Fensick II (Crystal), Scott Thomas-Fensick (Courtney), Jenna Elliott-Fensick, great-grandchildren, Kassie Carey, Maddie Carey, Nathan Fensick, Paisley Peterson, Jase Reed, Piper Thomas, a sister in law, Sharon Tully (Mike) and several nieces and nephews. In lieu of flowers the family suggests donations may be made to the Blades Volunteer Fire Co, 200 E. 5th St, Blades, DE 19973.